Rykowski participated in the GIFT program in 2014. Peter Hesketh of George W. Woodruff School of Mechanical Engineering was her mentor. From 2015 through 2017, Rykowski worked with Ayanna Howard, at the School of Interactive Computing. Because of the GIFT experience, Rykowski shifted her teaching away from students having to memorize. Instead, she asks students to figure out how we know what we know. That shift “exemplifies CEISMC’s goal of empowering teachers to advance students’ interest and readiness to excel in STEM,” said Bonnie Harris, director of GIFT. When Rykowski noticed that students enjoyed arts-infused engineering lessons, she created an elective course: STEAM Generation, which combines arts, engineering, and computer science. More than 300 students in grades 6-8 have registered for the course for the 2018-19 school year. Rykowski also participated in PRIME, a sub-group cohort of the GIFT program funded by the National Science Foundation (NSF), where she learned computer programming. She now coaches two robotics teams at her school. She introduced her students to Scratch, an online coding platform, which her classes use for science projects. Rykowski is also proud that her students consistently perform well on the end-of-year standardized test, the Georgia Milestones. Award recipients lead their communities in improving mathematics and science education. They receive a certificate signed by the President of the United States. They are invited to Washington, D.C., to participate in recognition events and professional development opportunities. They also receive a $10,000 award from the National Science Foundation. 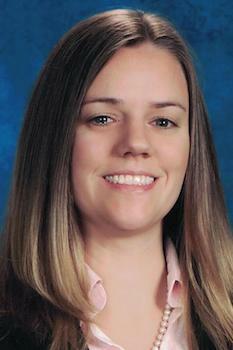 Rykowski has presented her lessons at multiple Georgia Science Teachers Association Conferences and at the 2016 Woodruff Arts Center Educator Conference. In 2016, Rykowski drew upon her GIFT lab experiences and consultations with her mentors to win the Paul A. Duke GIFT Action Plan Achievement First Place Award. She placed third in 2017. The annual award, presented at the End of Summer GIFT Program luncheon recognizes three outstanding teachers for converting their GIFT internships into lesson plans.